When it comes to moving, there will be many aspects that you find challenging, stressful, or just downright chaotic. It’s no mystery—most rank moving to a new location as one of the most taxing experiences of their life. 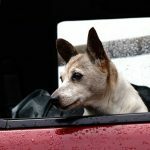 However, this stress can be even more amplified when coordinating the successful moving of your pets. 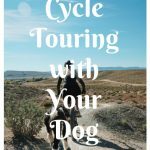 Handling every detail from packing to pit stops is difficult enough on its own, but when you combine that with keeping your pet happy and calm during the big transition, you can have a stress-filled disaster on your hands. Luckily, moving your entire family from fur to fins doesn’t have to be a negative experience. With the proper amount of planning (and a little pre-game know-how), you and your pet will have the propensity to arrive safely and comfortably in your new home and be ready to take on life’s new challenges together. One of the most important things for you to prepare in advance will be the right supplies—this can include everything from a good crate or carrier to transport dogs and cats, to a carry-on bag of essentials needed for your trip –meals, treats, water, bathroom pads, walking leashes, etc. 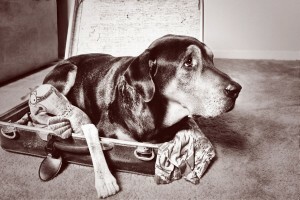 Unlike yourself, it’s important to note that you should keep everything your pet may need on-hand during the trip. Packing away required pet care materials and hoping to simply unload them once you’re moved in is just asking for disaster! Similarly, you’re going to want to consult with your current vet as soon as possible to let them know of the upcoming transition. Moving to your new town will mean the necessity for a new regular vet, so ensuring that this transition goes smoothly in regards to your pet’s vaccination needs, etc. will go a long way. This can generally also spur the discussion onto researching new veterinary offices in your hometown-to-be. Your current vet may have insight into the quality of various locations at your new location, or simply give you solid pointers on researching and comparing vet offices on your own. Perhaps most importantly, keeping your pet healthy and happy during the move will largely come down to the amount of special care and attention you remember to pay them during the process. It can be easy to skim over things that you normally wouldn’t while caught up in the rush of moving, but it’s important to make it a point to regularly reassure your pet and make sure all of their needs are being adequately met. Your pet will feel more at ease during the confusing transition, and will feel much better all-around due to the increased peace of mind. Remember that it’s just as much a move for them as it is for you. Brian Wilson is a contributing writer and media specialist for the North American Moving Blog. He regularly produces content for a variety of lifestyle blogs, based around the transitional challenges that come with migrating and traveling long-distance. 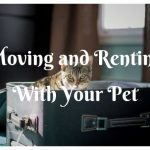 Excellent tips for pets when moving. this is important to know! 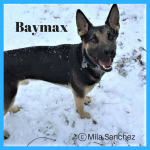 But, unfortunately I cannot use this strategies because we do not have any kind of pets, furthermore, I will share this into my friends that have many dogs. 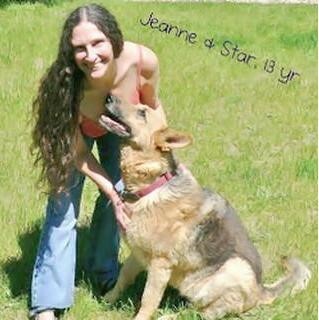 Thank you Jeanne, for sharing this tip to us specially for me. I have 4 dog and 3 rabbits, and I do not of how to travel with my pets, but I’m stress free because of the tip you share. You’re welcome, Lola. Thanks for stopping by my blog. Great Ideas. I really liked your Post. Thanks. Thanks for stopping by, Katy. Impressive blog post, thank you for sharing this information to us you nailed it. Great information you relay to us. Appreciates..! This is a great post because when it comes to relocating people generally ignore the effect of relocation on pets. They are also social and thus change in environment will affect their behavior and activeness. I also agree to your point that before moving to a new place you have to plan properly for the pets also. I would like to add a point that if the new location for the pet will be identical to older one than, it will take much lesser time for them to get acquainted with new surroundings. 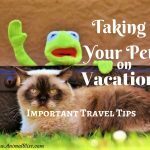 If you add some of more tips that would be quite helpful for the pet parents. Thanks for taking the time to read my post, Saurav. I appreciate your comments. I don’t have any kind of pet but, this is similarity to my moving problem. I will take note for this. I highly appreciate this article has full detailed information that might help to my problem..
Gotta hand it to you. This is one great post. 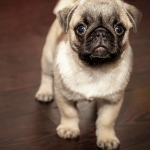 I love our pet dog very much and these tips will be a great help. Thanks for sharing them here. Thanks, Matthew! I’m glad you found my post helpful. Will definitely share this to my friend. He’s planning to relocate next month and he has 2 pets a dog and a cat. Your tips would definitely help him a lot. Thanks! I like your tip to consult your vet before moving. There’s a lot of medical records that your new vet will need, like your pet’s vaccination records and any medication they’re on. Being sure to get all the necessary information from your vet and making sure your new vet gets the information will help ensure that your new vet knows what your dog needs. Thanks for the article. Thanks for your comment, Hazel. Yes medical records is so important to have handy for a new vet. Come visit us again, now. Great tips! We have clients with two dogs who are going to move in two weeks to the village close to London. 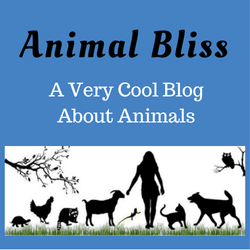 I love animals and would love to help them with few tips if I see that they are confused with moving the dogs. Thanks for the helpful post! I agree that you should spend quality time with your dog. I think that donig so helps them emotionally. I thnk it also helps them to whine less. So true. Spending quality time with your dog is so important, especially in stressful times of moving to a new home. Thanks for that! Hey, Rebecca! I love what you and your husband do. What a unique business you have there. Where are you located? Thanks for the tip about keeping necessary pet supplies on hand instead of packing them. I’ve been trying to decide whether we should put them in a box in the moving truck or keep them in our van. I’ll definitely opt for the van after reading this article! I agree that proper supplies are essential for the transportation of pets. I have seen all sorts of negligent transportation methods, including ones like people driving with their pets in a truck bed or trunk. Such methods are simply unsafe for the animals and could potentially lead to car accidents, as well. Thank you so much for the great tips! I am moving with my cat to a new place and I am so much worried whether she will adapt to the new environment. These are really useful tips. We very often have clients who are moving with their pets and they haven’t consider any of these things! I love animals and I always try to help our clients wit adequate advice and ideas. Thank you for the post! Greetings, Man with Van Hackney Wick Ltd.
Our 2 Pits were moved here in S. Idaho, from N.Carolina, My daughter had brought them out of a puppy mill, that was Not a very nice place for any animal. She had found one in a hep of dead animals. and tucked it under her sweater, the paid for one. I can’t say I agree with stealing anything, but I understood why she had done. this. They both were pretty sickly animals, and it was taking a chance to bring them to S. Idaho and she and her sister did it in 3 days. It was a bit hairy for them and the pups. But I will tell you, it was well worth having all 4 (2 pups and 2 girls) The information would be valuable if they had known — but in the long run they did ok. They went straight to the vets as soon as they came home( the pups) They were malnutrished but in fair good shape. Thanks for the info–I know it will be more help the next time if we ever have to move. I love your daughter for doing that. That must have been some road trip! From California to S.Idaho with 2 new, sick puppies. It’s was all for love and I know it was worth it. Those rescues … they know who loves them. They’re forever grateful, aren’t they? Love it. Oh, and by the way, I probably would have stuck more than one under my sweater if the condition were bad enough. 🙂 So glad you came by and shared your story, Dianna. Until next time, take care. You are welcome. Thank you for reading the post! It really is a bigger deal than people think, I agree. It’s like moving with children. Thanks for checking out my post, Helen! Aw! The poor darlings. The pets didn’t even get a choice of whether to move or not. No wonder they’re confused and upset. I remember moving with a Siamese cat back in the 70s. We kept him inside for a few days until he got used to the smell of the new home. Francene Stanley recently posted…How do YOU define bravery? It was wise of you to leave your Siamese inside for a few days. It would be awful for them to get lost right away. Thanks for taking the time to read the post, Francene. Take care!